Inverse ARP | CCIE, the beginning! Frame Relay is was one of the main topics of the CCIE lab exam until v5.0 before being replaced by MPLS technology. But Some Enterprises still using it and it is nice to have some understanding about some related concepts like point-to-point and multipoint interfaces, sub-interfaces, enabled/disabled inverse ARP… etc. In this post two main topologies will be treated: the first with point-to-point interfaces and sub-interfaces and the second with multipoint interfaces and sub-interfaces. For each case inverse ARP will be enabled and disabled. LMI (Local Management Interface): Manage local access link between the FR router and service provider switch, it maintains the status between the two devices. 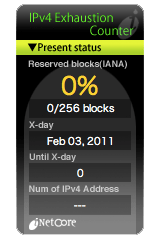 The router sends status enquiry message each 10 seconds and the FR switch responds with a status message (keepalive) with the sixth message carrying information about PVC and DLCI routed to the interface of the router. Also LMI trigger the router to send inverse ARP message (router IP over the VC). Inverse ARP: allow a FR router to react to a received LMI message “PVC up” and announce its IP address to the other end of the PVC, this is particularly useful when the IP address of the other end of the PVC is not known or when a FR router interface/sub-interface ends more than one PVC. – When using a “physical interface” to end a point-to-point PVC with a “sub-interface” in the other side, a static mapping is needed to map the local DLCI to the next-hop ip. – Only interface local DLCI. – No need for static mapping to the other side, because it is a point-to-point “sub-interface” and there is only one DLCI in the other side. – When using a “physical interface” to end a point-to-point PVC, with a “sub-interface” in the other side, and inverse ARP enabled, there is no need for a static mapping. – Only interface local DLCI is configured. – With inverse ARP disabled you have to set static mapping of the local DLCI (PVC) to next hop IP addresses because the interface ends more than one PVC. – As with physical interfaces, in sub-interfaces you need to set static mapping of interface local DLCI to remote IP because the sub-interface ends more than one PVC. – Inverse ARP will discover what DLCI to use to reach a particular adjacent IP address, for that LMI triggers the router to send inverse ARP messages. – IT is recommended to disable inverse ARP in the CCIE lab exam, otherwise routers will be connected not according to the lab exam. In general pay a particular attention to default configuration and parameters.